Can You Prevent Legionella or Control the Risks? You are here: Home / Knowledge / Compliance / Can You Prevent Legionella or Control the Risks? Can You Prevent Legionella or Simply Control the Risks? In the UK the Health and Safety Executive (HSE) consider Legionellosis (Legionnaires’ disease) to be a preventable disease through the application of good water safety management practices. These water management practices are clearly set out in the HSE’s Approved Code of Practice ACOP L8 and their Health & Safety Guidance HSG274 documents, both of which deal with the control of legionella and Legionnaires’ disease in the workplace. The HSE’s ACOP L8 and HSG 274 documentation covers the issue of preventing or controlling the risks associated with Legionella bacteria. So, which one applies best to your situation? Can you prevent legionella completely? This may be possible under certain circumstances. However, some water systems are at greater risk of being affected by Legionella bacteria than others. Cooling towers are a classic example of this. But before you can determine whether total prevention is possible, you must undertake a legionella risk assessment. The HSE consider this assessment of the potential risks to be the starting point for any well-structured risk management process. The legionella or waster safety risk assessment should be comprehensive enough to provide information on the sources of any identified risks, and how those sources can be suitably managed. The management of the risks can then be tackled either through complete prevention or through control. Can you control the risk of legionellosis if prevention is not possible? There are many circumstances where prevention is not an option or even a possibility. Cooling towers are often complex systems and cannot always be easily or cheaply removed and replaced with another system, for example, even if this were to be the best solution. In other examples and locations, specific equipment may be required to manage a water supply. For example, swimming pools cannot be replaced by anything else that provides the same service. Neither can hot tubs. In this instance, you would need to identify, implement and then manage a suitable method for controlling the presence of Legionella bacteria. This should ensure the bacteria remains at an acceptable level (less than 100 cfu/litre) and has no opportunity to multiply to dangerous levels. Simply completing a legionella risk assessment and then doing nothing with it is not enough to cover the requirements of the health and safety regulations in this instance. 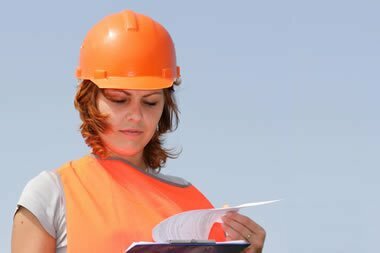 The original risk assessment should be kept in detailed form and reviewed regularly, particularly when there are changes to personnel, the use of the building or the water systems. This will ensure any new potential risks that may arise are quickly identified and handled in much the same way as any other risks. Many organisations find it easier to hire a company like Legionella Control International with expert knowledge and in-depth experience in handling legionella risk assessments to support them in complying with the law. However, it is still important to recognise the ultimate responsibility for managing the risk of legionella and Legionnaires’ disease lies with the employer, referred to by the HSE as the Duty Holder. How often should I review my legionella risk assessment? The UK’s HSE don’t give a specific frequency for the review of a legionella risk assessment but make the point that it is important to review it periodically just in case things change.